I’m so ridiculously excited for this episode! To accomplish this Herculean feat, Scott must drag a 200lb sled 683 miles in some of the most extreme weather imaginable, across crevasses, through white outs, and over the brutal Sastrugi (waves of solid snow). Powering through day after day after day completely alone, driven by nothing but his own internal badassness. Journeying to the South Pole ignites a vision of supreme human endurance and provokes journeys of extreme adversity, tragedy and triumph. It is the epitome of the much-overused term EPIC. A true adventure. 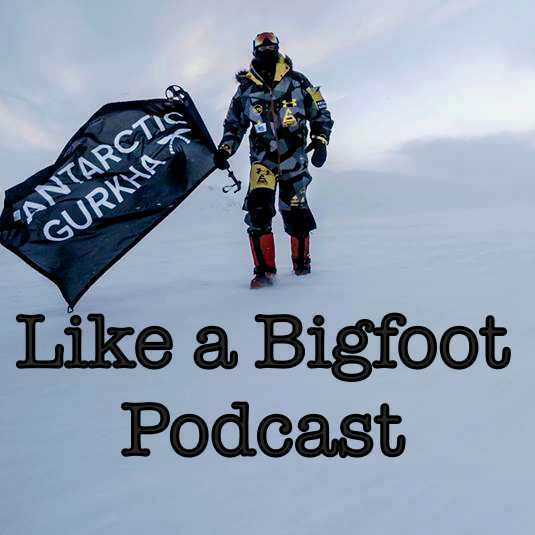 In this episode, Scott shares his preparations, expectations, and mentality while planning for and training for his expedition. How has his life’s journey prepared him to take on this challenge? How will he handle the extreme conditions? What will it feel like when he’s left all alone, the farthest away from civilization you can possibly be? He was also very open about the insane hard work it takes to get a project like this funded and how he went about finding sponsorship. I really want to thank Scott and wish him the best of luck in Antarctica. I will definitely be following along every day as I expect it to be fascinating, inspiring, and will help me put some of my own daily “adversity” into perspective. I highly suggest you follow along too.